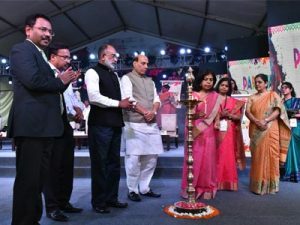 The Paryatan Parv by the Ministry of Tourism was inaugurated by Rajnath Singh, Union Home Minister, in presence of KJ Alphons, Union Minister for Tourism; Rashmi Verma, Secretary, Ministry of Tourism and other dignitaries from participating Central Ministries and State Governments at Rajpath Lawns, New Delhi. This is the second edition of Paryatan Parv — a nation-wide celebration of Tourism, from September 16-27, 2018. Inaugurating the Parv, Singh said that India is the only country where all major religions of the world, diverse culture, customs and cuisines are found, and we should see and experience this Incredible India. The Home Minister added that the Government has ensured ‘ease of travel’ through various steps like simplification of process of e-tourist visa application. 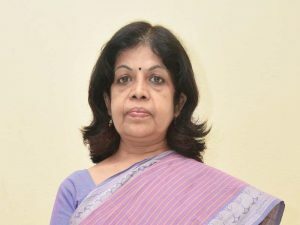 The Minister also urged Indians to visit various places in the country and thereby understand its rich and varied culture and heritage, while also enjoying its natural beauty. Speaking at the event, Alphons said that Indians have made 1.8 billion domestic trips in the last year and added that the Ministry is aiming for twice these visits in next 3 years. The Tourism Minister also called upon everyone to see, experience and get transformed by travelling across India.